﻿Great for tuna, salmon, sushi, sashimi, bait, whole fish, oysters, etc. 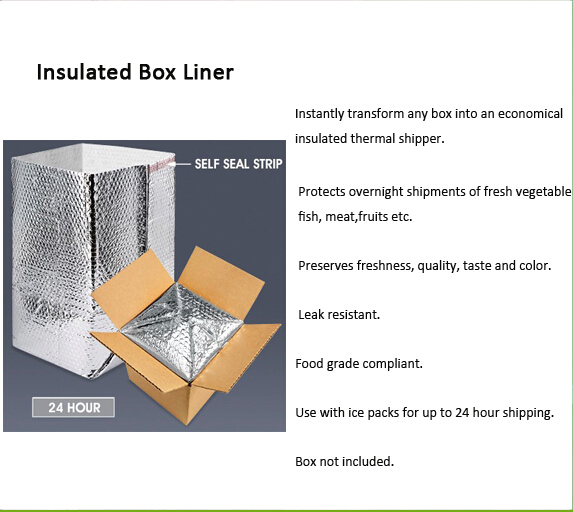 Our line of proprietary Extreme Shipping Liners is perfect for shipping your temperature sensitive products. compared to EPS solutions, they feature a soft inner foam which offers superior padding for your products. Live animals such as tropical fish, etc. The Extreme Liner design makes it a breeze to pack! Watertight construction works great for seafood and prevents odors. Superior construction allows for extended transit times (48hrs +).